Do United need to win the three games or is the manner of performance more important? I would give it to Ole now, I’ve made my mind up. Also it’s not just Ole doing all this, I think it’s clear it’s a collective effort between the coaching staff. McKenna is known for his attacking style, Carrick is a young guy in management terms and is fresh out the game. Also well Phelan is just a coaching legend at the club. If you bring in Poch are these guys going to stay because he will have his own guys. Right now the club is in harmony and yes there will be tough times but I do think the coaching set up right now is perfect for us because we have a mixture of everything. Obviously we don’t know if Phelan would stay but he would find it hard to turn down if we asked him back. The manner of the performance is the most important. We need to show we can compete, play attacking football and defend intelligently. I love the fact Ole is saying we are trying to win everything. I have mentioned this before and the press are picking up on it now, how different that atitude is to Poch's cups don't matter statements from this and last year. I think we have got to give it to this current group, as SuperRash says, you are just going to rip out all teh coaches and start again, again. They are proving they have the know how if not the right players. I also love how Ole is getting ready to bring more youth through next year. It would have to go completely bent for me to change my mind. I don't expect us to beat PSG, Chelsea in the FA cup, or city and pool in the league. The damage to this season was done before Ole arrived. This coaching team have shown me enough they can take us forward. It shouldn't simply be about results or whether we get top 4/win a cup. If by the end of the season there's evidence to suggest there will be further improvement next season then that should be given consideration when making the decision. If we don't get top 4, that isn't his fault. A lot depends on what they want the manager to be do they want him to be Fergie and do everything if they do then we are screwed as no man is capable of doing that anymore. If they want a group of coaches with one man as the figurehead then Ole might be the man as that seems to be the ways it's working right now but for this club to really make strides forward it needs to sort out the recruitment this squad still needs an overhaul and we can't get it wrong again. 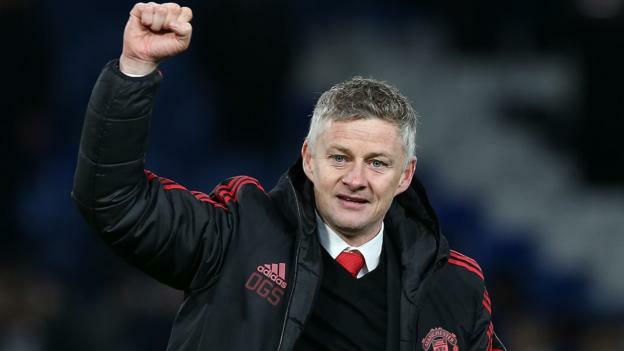 Manchester United are using Ole Gunnar Solskjaer as the face of their season ticket sales pitch for 2019-20 even though he may not be manager.